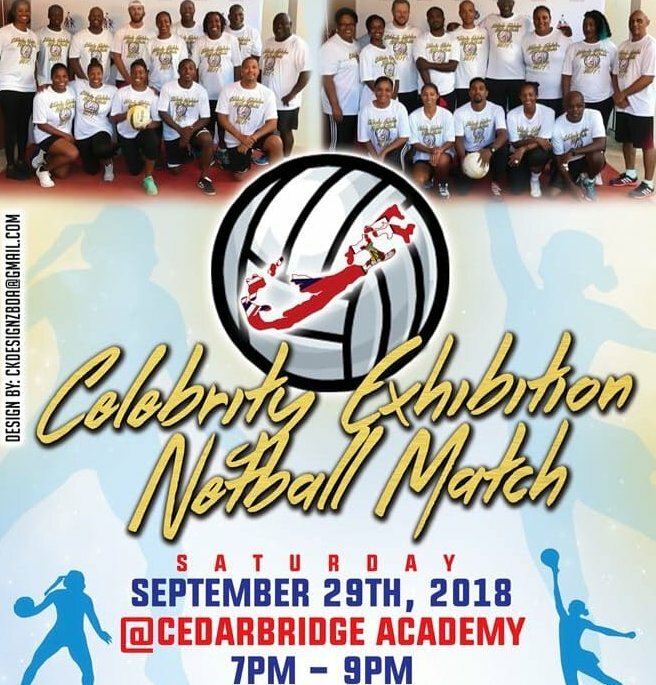 The Bermuda Netball Association announced the annual Celebrity Exhibition Match where MALE and FEMALE local celebrities join forces to compete for a thrilling action packed 60 minutes. It all goes down on September 29th at Cedarbridge Academy. Just some of the Celebrities confirmed include Bermuda Day Half Marathon Derby winner Lamont Marshall, Senator Jason Hayward, Deputy Chair of the One Bermuda Alliance Tarik Smith, Nadanja Bailey, Chris Crumpler and Teresa Perozzi just to name a few.